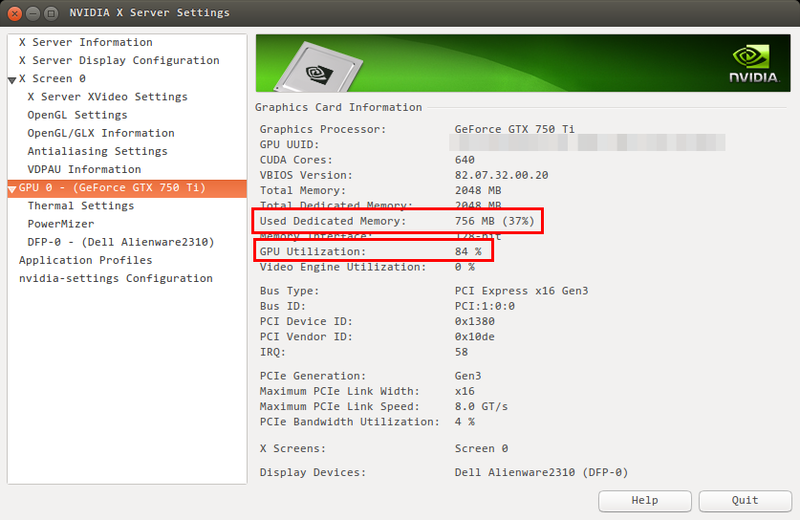 Monitoring the GPU and GPU memory (VRAM) utilization on Windows is easy. There are many general tools, including specific tools supplied by your GPU vendor (like MSI’s Afterburner or EVGA’s Precision). Sadly, there is not a single tool on Linux that can monitor your GPU and show as many stats in a convenient GUI. Sadly, there is no graphing tools to view these values over time.